India did not welcome Nepal’s constitution and backed Madhesi protesters last year, but has sent positive signals about the amendment. As protests over the Second Amendment to the Constitution continued for a second consecutive day on Thursday, Prime Minister Pushpa Kamal Dahal tried to persuade Madhesi leaders to go along and prepare for local elections. Madhesi leaders not only rejected Dahal’s proposal but also threatened to disrupt elections if the bill was pushed through without their consent. The Maoist-NC coalition will fail to secure a two-thirds majority to pass the bill without the Madhesi support. The main opposition UML has been even more vocal in cricitising the bill, disrupting House proceedings on Thursday and also carrying out protests, particularly in west Nepal. The Tarai Madhes Democratic Party (TMPD) leader Laxman Lal Karna said that inserting Sunsari, Morang, Jhapa in the east and Kailali and Kanchanpur in Far West into Tarai-only provinces is still his party’s bottomline. “Until we get these districts, we will not go for elections,” he told Nepali Times on Thursday. Dahal is still hoping that Madhesi parties will eventually support the bill, probably after a few corrections in its content. 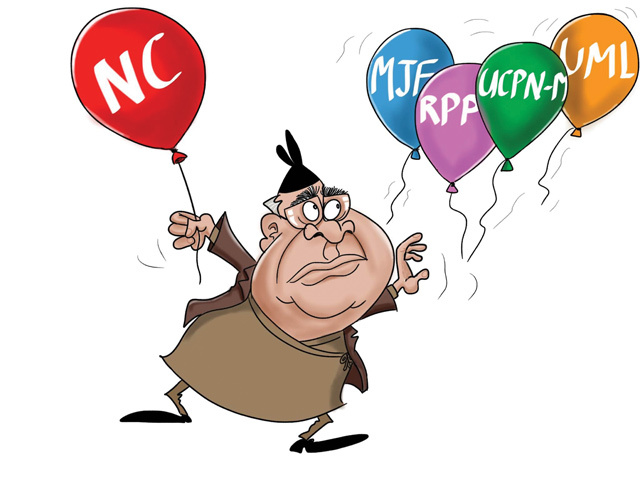 If he wins over Madhesi support, the newly unified RPP and other fringe parties could also come on board, enabling the Maoist-NC coalition to secure a two-thirds majority. NC President Sher Bahadur Deuba is confident that the UML too will support the bill if the top three parties reach a deal to endorse the impeachment motion against the CIAA Chief Lokman Singh Karki, which is still being debated in Parliament. There are powerful NC leaders who are not backing Deuba on impeachment, but he may need this card to strike a deal with the UML over the constitution amendment. It was the UML that initiated the impeachment motion after learning that Karki was about to go after its leaders. India did not welcome Nepal’s constitution and backed Madhesi protests last year, but has sent positive signals about the amendment. This could be the main reason the UML is unwilling to amend the charter under which five hill districts which were in Province 4 have been grafted to Province 5. 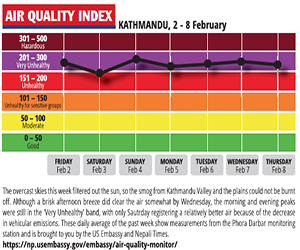 Now Nepal has two Tarai-only federal provinces. Last year, during the constitution making process, the UML had presented a similar federal map in the Political Dialogue Committee of the Constituent Assembly (CA). Naya Shakti Party Chair Baburam Bhattarai, who was the President of that CA committee, has slammed the UML, saying it claimed to be ‘nationalist’ when it proposed two Tarai-only provinces in Madhes but is now dubbing others ‘anti-nationalist’ for floating a similar idea.